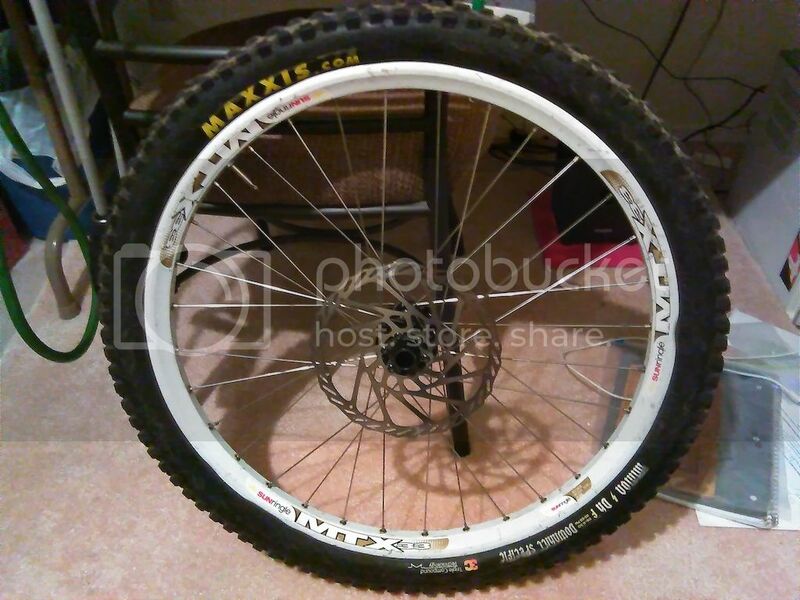 2014 Sun MTX wheels on Formula hubs. They have a few dings that I will fix before they ship and spin true with no flat spots. I'm a mechanic and have maintained them throughout ownership. Note: Wheels do not include tires or cassette but I can leave the rotors on if need be for a few bucks more. Looking to get $180 for both. 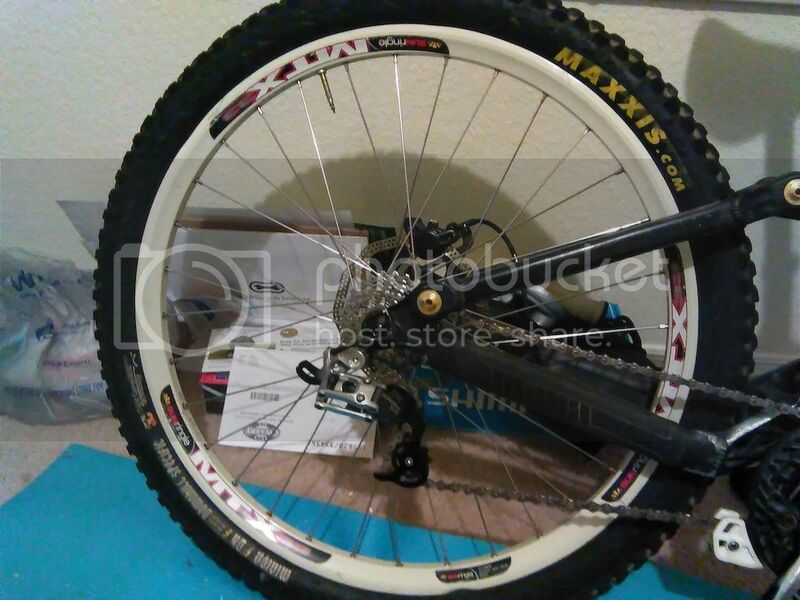 Update, $170 for everything pictured, including 12-26 cassette, Maxxis tires/tubes and 150mm thru axle for the rear.